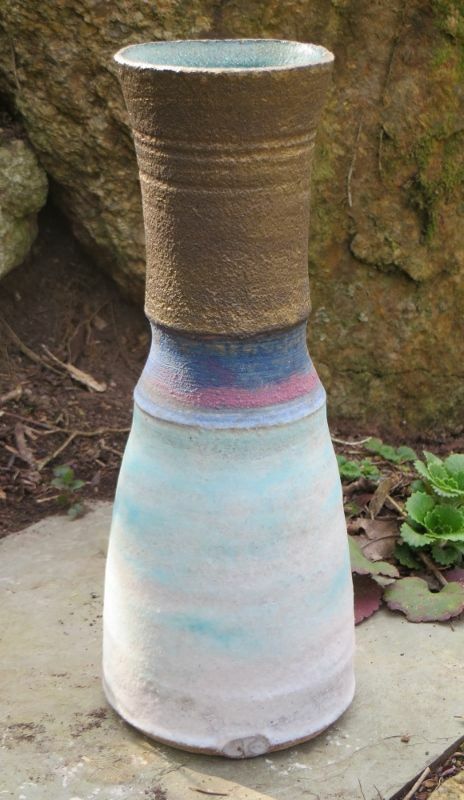 Colin produces mainly individual pieces of stoneware pottery fired in an electric kiln. 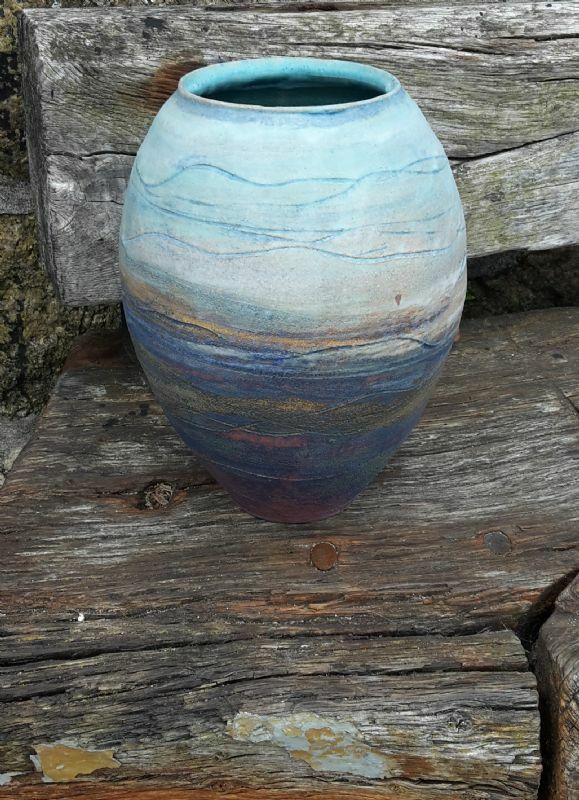 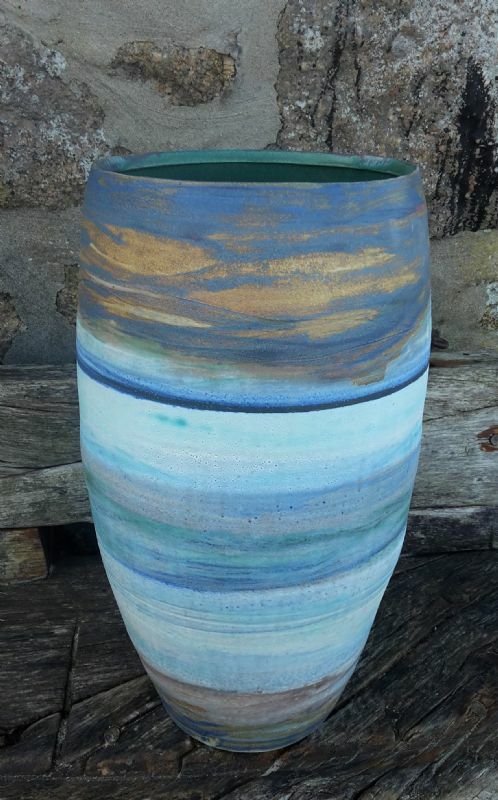 These are hand-thrown, thrown and coiled, or composite original works mainly inspired by views of the ocean and coastal moorland of West Cornwall. 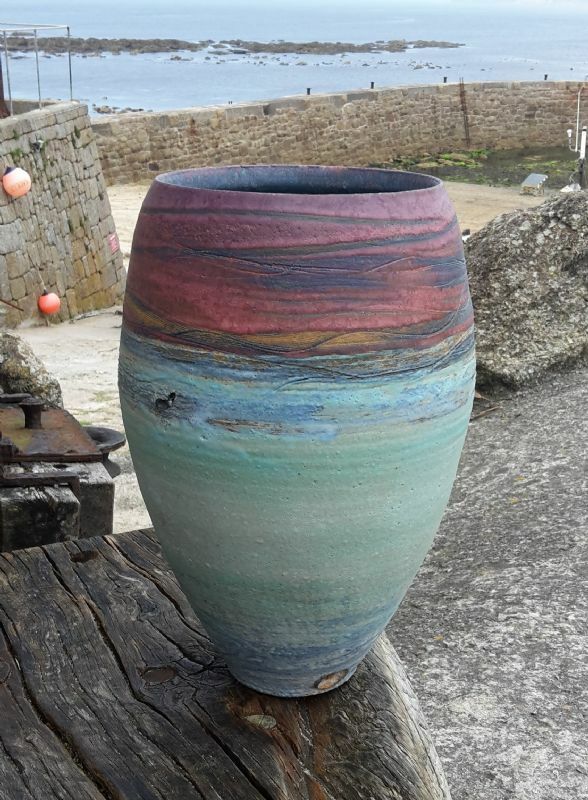 Colin's greatest challenge with these misty sea and landscape pots - these paintings in the round - is to get glaze colours, which are basically chemical reactions, to behave in a painterly way, more like pigments. 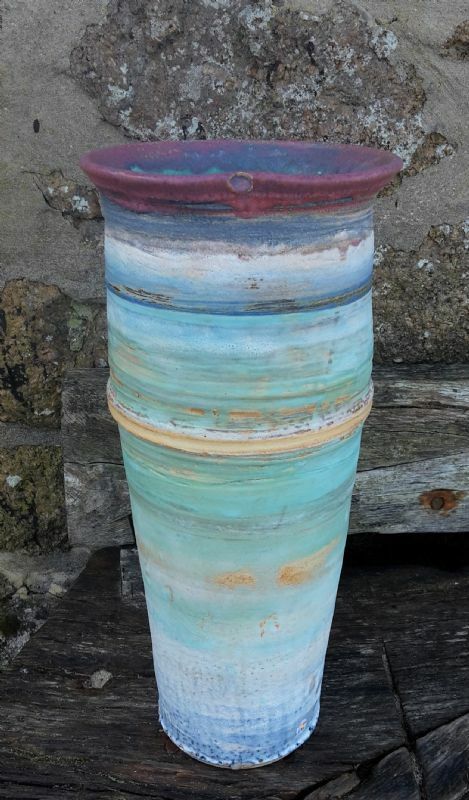 Effects are built up with brushed-on coloured slips on the raw pot, followed by various dipped, inlaid and brushed on oxides and glazes before the second firing. 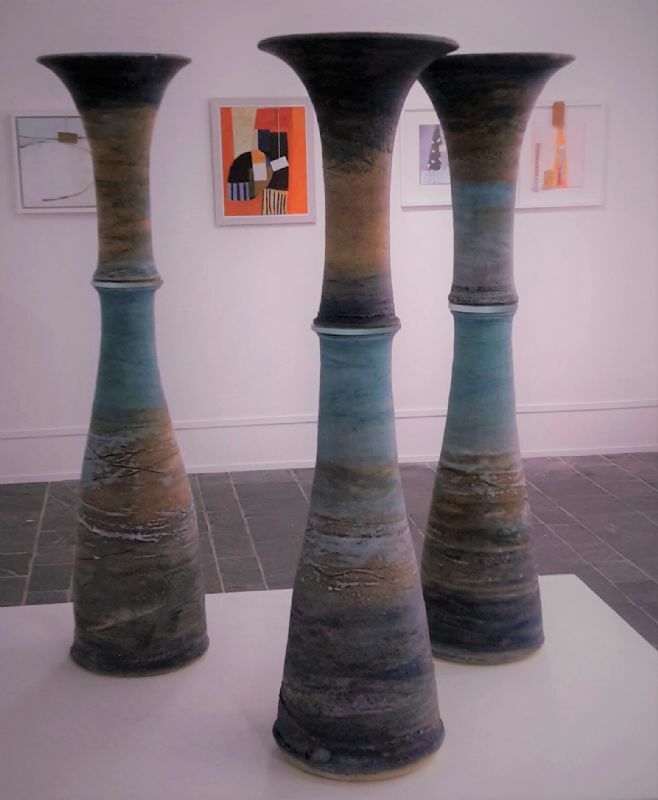 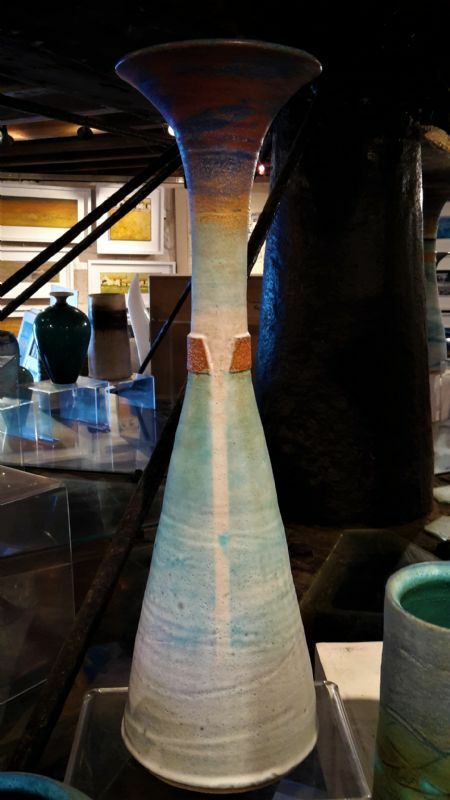 Colin developed his skills as a ceramicist at Camberwell School of Art in London, where he was taught to throw and design pots by many well known urban ceramicists of the time: Ian Godfrey, Colin Pearson, Glenys Barton and Ewen Henderson, to name but a few. 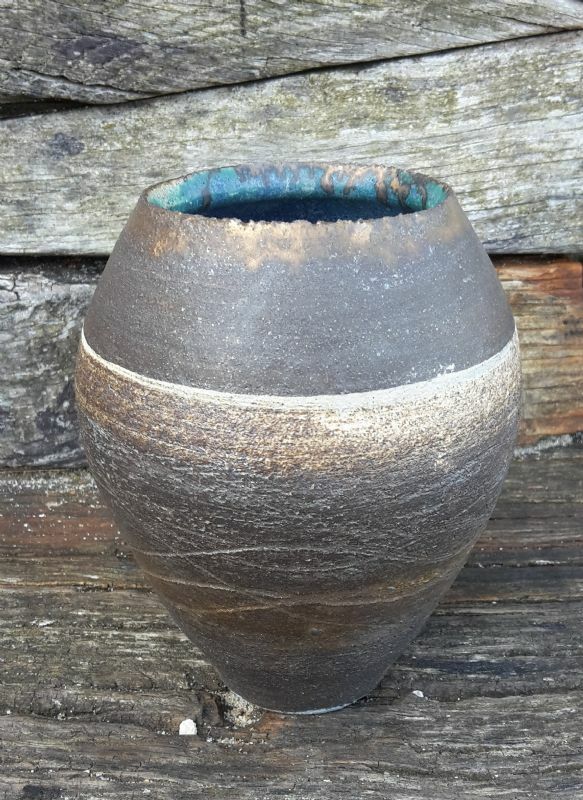 His greatest influence, however, has probably been Lucie Rie, to whom he will always be grateful for the time she gave him at her studio.